When Mayor Dana Williams greets a dignitary, he typically gives them a small gift to show the community appreciates their visit. The standard gifts are picture books of Park City and pins marking the city’s role in the 2002 Winter Olympics. Posters of artwork depicting Park City were given for more than a decade as well. Williams, though, says cities outside the U.S. often offer nicer gifts than those City Hall gives. Williams wants something else created to be given to dignitaries when they visit and he has approached a City Hall panel for assistance. He recently spoke to the Public Art Advisory Board about possibilities. The mayor said in an interview perhaps a contest could be sponsored soliciting ideas from local artists. 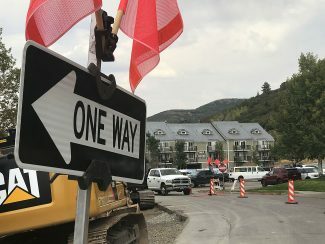 He said he would like something that honors the culture and history of Park City. "I don’t want to put, necessarily, my spin on it," he said. Williams said, perhaps, a small sculpture could be made and then duplicated. He said a piece should not weigh more than a few pounds and should be smaller than a shoebox. 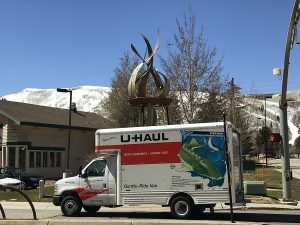 He acknowledged that any agreement with an artist or sculptor will need to include an order for a fixed number of pieces at the start. Williams said he envisions a piece of artwork costing upward of $50 each to create. 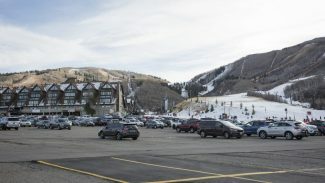 Park City regularly hosts dignitaries from the U.S. and from abroad, including a string of top-tier political figures. Williams in 2011 provided first lady Michelle Obama a bag of goodies during a visit to Park City on a fundraising trip on behalf of President Obama. The bag included four Park City-themed books, a framed photograph of the barn at the McPolin Farm and a bottle of High West Barreled Manhattan from High West Distillery.